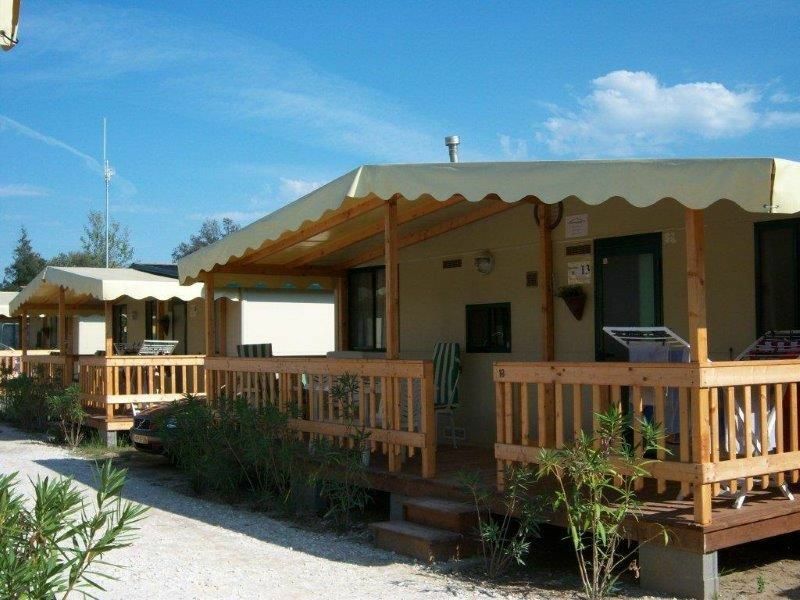 The mobile home Zona Rossa 13 can accommodate five people and includes a double bed, a bunk bed and a single bed. The living room has a sofa bed where could possibly a sixth person can sleep. In mobile home you will find all the amenities you are used to at home, including a kitchen with microwave and coffee maker. Additionally, you can cool the whole mobile home with air conditioning. Pleasant when the Italian temperatures go up! For the small holidaymakers there is a high chair and a cot. At the front of the mobile home a nice big terrace has been created. Your car can be shut off right next to the mobile home. Camping Paradiso in Viareggio, Tuscany. Viareggio is located near Pisa and is easily reached by plane as well as by car. The site has 450 seats and was completely renovated a few years ago. The campsite is equipped with all comforts. There is a pool, a children's playground, a restaurant and a grocery store. In July and August (in Dutch) Animation for children. You can also rent bikes in order to explore Viareggio. The use of Wi-Fi is free. From spring to late autumn you can enjoy in pleasant temperatures italiänischen the quiet and wooded area of ​​Viareggio on the camping Paradiso. Within walking distance of Camping Paradiso (about 15 minutes) situated, the Mediterranean Sea with a wide sandy beach and the vast, vibrant Boulevard. In high season there is a free shuttle bus from the campsite to the beach. But there is to discover in Tuscany even more! Think of Florence (110 km), Pisa (20 km), Lucca (30 km) or Lucarno (44 kilometers). The Cinque Terre National Park is certainly worth a visit. Just as Torre del Lago Puccini (9 km), the birthplace of the most famous resident of the village: Giacomo Puccini. Here every year is held the Puccini Opera Festival. The Tuscany offers for trips to downright.